Moving Malaysia's Green Economy Forward"
What exactly was this "rare earth project" by Lynas all about? 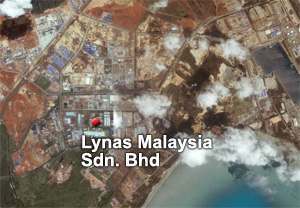 Lynas and their Rare Earth Plant in Gebeng, Pahang. On the 26th of February 2012, thousands of concerned citizens took part in a massive demonstration known as Himpunan Hijau 2.0 to call for an immediate cancellation of the proposed Lynas rare earth plant in Gebeng, Pahang. Green Mutants were also present! Due to the recent public concern over the Lynas Rare Earth (RE) project in Gebeng, the ASM Working Group were motivated to produce a Framework Report which discusses the science behind RE. The report sheds more light on the risks and potential benefits of the RE industry. - Over the years, China has monopolized the REE (rare earth elements) industry by supplying 97% of global demand. In year 2008 they reduced the export quota and shut down REE mines which do not comply with the environment standards (down to 30%). The price of REE has inflated almost 10 times over the past few years because of its scarcity. Japanese are now considering mining for rare earth in the Pacific Ocean bed. Even so, according to Technology Material Research (TMR), there are still over 30 new mines inaugurating around the world, and yet China still sustains its monopolistic position. Proven researches of rare earth minerals serve the world for over 1000 years. Vietnam has been found to contain 10% of the world’s REE bank. 30 new projects of REE projects around the world. 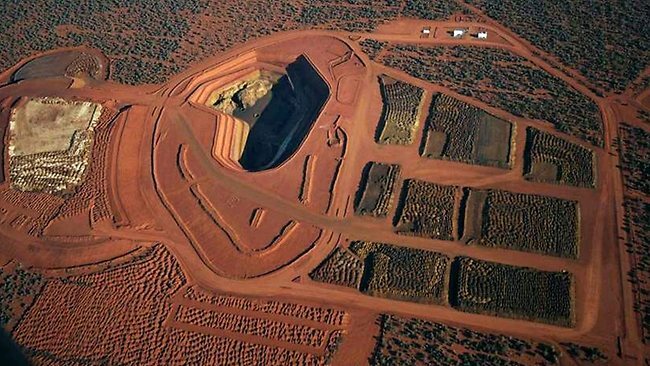 Mount Weld mine in Western Australia is the source of Lynas REE. With regards to Safety and Health Risks related to RE production activities, Lynas did not think through this guideline very well. Occupational and public safety and health risks related to rare earth may be addressed at its mining, transportation, processing, waste disposal as well as decommissioning stages. The experience has been documented by academicians and scientist before. (i) The Malaysian government did not take safety measures seriously in the past. (ii) Lynas only proposed storage for waste material for 3 years projection. The plant is expected to operate for 20 years. Therefore they were recommended by IAEA group to scout a suitable site for disposal of the waste. Plant is too small and is too near to population to have such large waste management. (i) Refinery in China is situated very far from population. (ii) Waste management plant is situated in the desert. The main problem was the temporary storage of waste material in the plant. If they were to transport the waste to a remote location, it can only be done roughly once a month. Daily transportation would be too costly / impossible. Magnets - Small speakers, hard disks, consumer electronics. 1. Strengthen the legal and regulatory framework and enforcement capability to enable the effectives functioning of the rare earths business without compromising on the health and safety of the people and the environment. 2. Undertake a national exercise to map the potential rare earths alluvial and hard-rock deposits as well as evaluate their economics potentials. 3. Incentivise investments in the downstream manufacturing of RE based products to target the export market and substitute imports. 4. Rehabilitate the environment around industrial estates in Malaysia starting with Gebeng as pilot study. 5. Build the key competence in human capital for the entire value chain of the rare earths business including processing, refining, manufacturing, logistics and the other related services. 6. Undertake a coordinated, comprehensive and continual public awareness programme and pursue regular engagement with the community on the risks and opportunities of new technology-based businesses. There is a solution if we CHOOSE to seek for it! The rare earth industry is expanding especially with the growing demand for green products and the global push to embrace the green economy. As a result, investments in rare earth mining and processing have also grown. Apart from China, many other countries have started to seriously allocate new investments in rare earth refining. Some have begun reviving their old rare earth mines which were abandoned during times of low pricing. The upstream rare earth industry has to contend with some safety and health risks. The processing of rare earths produces some byproducts which do carry some low level radioactive risks. As the IAEA Report has demonstrated, such risks are manageable. There are technologies available to effectively render the wastes harmless and safe. accommodate waste produced in the first 3 years of operation. As future generations of Malaysia, let's just stop thinking about NEGATIVITY and COMBINE all our STRENGTH and work together as ONE MALAYSIA! Start focusing on how we could SOLVE current problems and LEARN from mistakes made by other parties. 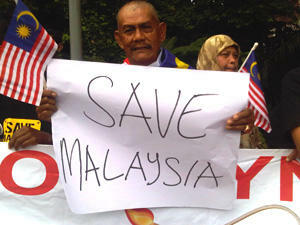 Only this way, we could prove to the WORLD that we MALAYSIANS no longer "LIVE ON TREES!" If others can do it, nothing makes us different from them! The future of safe nuclear energy is the soon to be reality THORIUM 'LFTR' NUCLEAR REACTOR. Much much much much safer than the uranium variety which has to operate under pressure - the LFTR won't. = keep up to date on the THORIUM LFTR reactor please Mr Government. :) so rare to see such a balanced article on this subject!